This review originally appeared on XBLARatings.com. I played the game, having not played a game like this since the mid 1990’s. You know, that era when a huge number of Xbox Live Gamers weren’t even born. 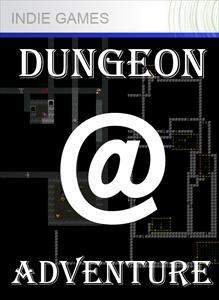 I started up Dungeon Adventure, and a friend of mine (who was a huge fan of D&D, Bards Tale, and countless other Dungeon Crawling games) sat beside me. Together, we started to figure it out. I have a chatpad attached to my Xbox 360 Controller, but did not quickly see any easy way to use it. So I began to play, encountered my first enemy, realized I hadn’t done any reading on combat, and promptly ran away – Emu in hot pursuit. It then killed me. Evidently, to attack an enemy, even if you do not know whether or not you are equipped to kill it, you can simply move your avatar (in the game, not your Xbox Live Avatar) towards the enemy. Trying to run away will invariably kill you. Navigating in the blind by holding down a particular direction, and stumbling upon an enemy such as a minotaur will kill you. Not being able to find food… go ahead, guess. Write it down on paper. You’re right! It will kill you. So after you get killed a good ten or fifteen times, you’ll start to get the hang of the game, realize that the randomly generated dungeouns have their fair share of doors that don’t go anywhere, and levels that only go up, never allowing you to travel back to a previously visited area. Graphically the game isn’t the best looking thing out there, but that’s it’s shining point: it’s not intended to be. If this game had “better” graphics, I don’t think it would be genuine! The sound is quite lacking, but again, it’s intended to be quite simplistic. One of my favorite (though embarassing) features is an in game leaderboard which shows user’s details (Gold, Level, how you died). These are fun to scroll through, though the developer could tune the columns, as there is a little bit of overlap (even when playing on an HDTV). For those nostalgic for this specific type of game, I would think a $3 price point is more than fair. Others might want to wait for the inevitable price drop to 80MSPoints.